Walk a Block to Uptown (Our Downtown) to the main shops, tours, restaurants. Property 4: Walk a Block to Uptown (Our Downtown) to the main shops, tours, restaurants. Property 7: Sedona Spice: All the Best Views, Vistas & Value. Property 10: Relax in a Cozy Hideaway for Two, close to everything, and pet friendly. Property 16: Studio w/ WiFi, Resort Pool & Spa Near Art Galleries, Shopping & Hiking Trails! Property 20: Walk a Block to Uptown (Our Downtown) to the main shops, tours, restaurants. 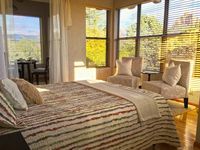 Whole Vacation Home in Scenic West Sedona! Property 23: Whole Vacation Home in Scenic West Sedona! Property 24: SPACIOUS, MODERN, BEAUTIFUL! UNDER THE REDROCKS. GORGEOUS YARD & MEDICINE WHEEL! Property 25: Executive 1 bedroom Loft in the heart of Sedona - super location, nice views! Karma Corner -Your Sedona Basecamp! 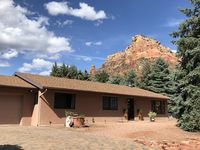 Property 26: Karma Corner -Your Sedona Basecamp! Property 31: 2-Acre Sedona Casita w/ Deck & Red Rock Views! 'Sedona Happy House' w/ Patio & Red Rock Views! Property 37: 'Sedona Happy House' w/ Patio & Red Rock Views! Property 42: Zen, Views Galore!!! Property 45: Trails and unobstructed panoramic views out the back yard! Great location and plenty of room. My husband and I loved our stay at Heartful Casita. The views were beautiful! We loved that it was close to the brewer road hiking trail and an easy walk to shops and restaurants! Thanks for keeping such a lovely place!